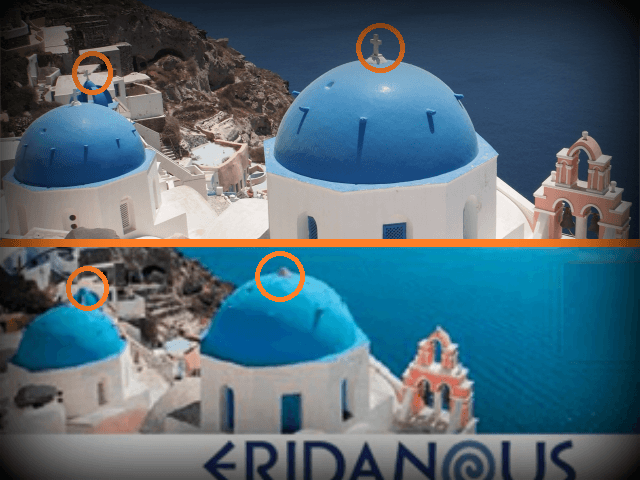 Images of the world-renowned church were used for the packaging of its Eridanous brand — an in-house label which includes a range of Greek-style yoghurt, feta cheese, moussaka, and pistachio products — according to RTL Info. The rationale behind the supermarket’s belief that erasing Christian iconography from Christian religious buildings is “respecting diversity” is left unclear, and its statement that “we avoid the use of religious symbols because we do not wish to exclude any religious beliefs” does not appear to be wholly accurate. The news comes shortly after Aldi — another low-cost German retailer — courted controversy by putting up a sign in a store in Northampton, England, advising customers that they could not purchase alcohol at a till manned by a cashier thought to be Muslim. “If a colleague raises concerns about a job they have been asked to do, our approach is to try and find a solution,” a spokesman told the MailOnline. This accommodating stance stands in sharp contrast to some Christain workers and business owners in the United Kingdom. Former nurse Sarah Kuteh was sacked by the NHS for offering to pray with patients prior to surgery, and the Christian-owned Ashers bakery in Northern Ireland was hammered with huge legal bills after judges deemed it broke the law by declining to prepare a cake with the slogan ‘Support Gay Marriage’.